Finally caught up with a male hummingbird. It is a Black-chinned. Shot pretty late in the evening and crazy high ISO 12,800. The noise reduction filter killed the details. Wing blur at 1/4000th. I’m on vacation this week so hopefully I can catch a full frame wall hang of a Ruby-Throated Male, or at least some fireworks. 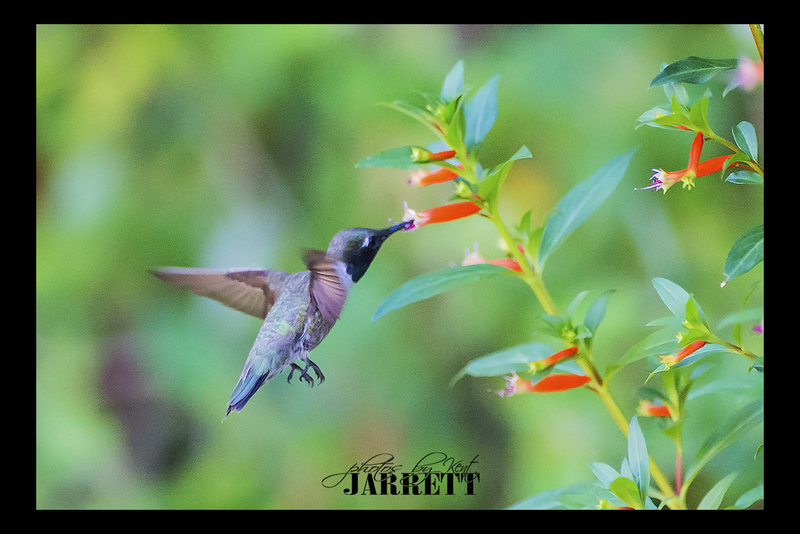 This entry was posted in 52 Week Project 2017, Hummingbirds and tagged 2017 52 Week Project, hummingbird by Kent Jarrett. Bookmark the permalink.